Post Cycle Therapy (PCT) is a very important part of taking a product such as SD Matrix. 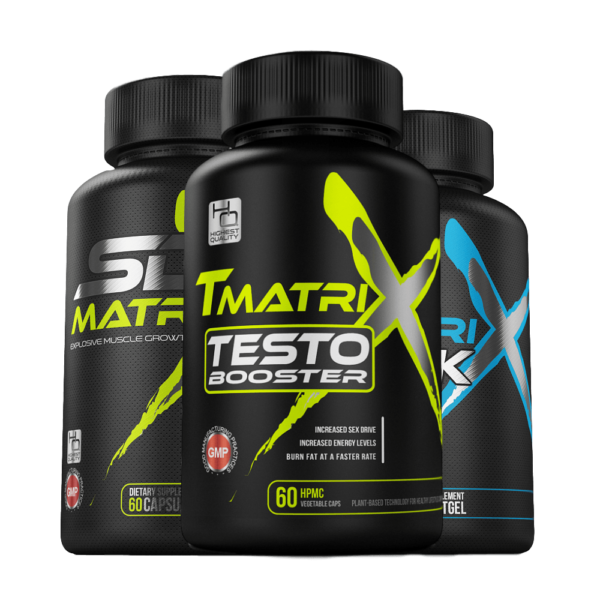 Basically after taking SD Matrix for 30 days your testosterone levels will be elevated as your body slows down making its own testosterone, When you reach the end of your SD Matrix cycle you body dips in testosterone levels & an increases in estrogen production. Therefore it is recommend taking a Testosterone booster/ Estrogen Blocker for a month until the body resets itself. Take Testo Extreme after you have Finished your SD Matrix & Matrix Milk Cycle, this will be on the beginning of week 5. Simply take 2 Testo Extreme per day one in the morning & 1 in the evening. We also recommend cleansing the liver on weeks 8 to 12 With TUDCA (Tauroursodeoxycholic Acid), which is naturally occurring in the body,TUDCA is the ultimate form of liver protection and has FDA approval for its ability to reduce elevated liver enzymes.